Rutube is, as one might guess, a Russian website that allows users to post videos, very much built as "the Russian YouTube". A few years after its foundation it was bought by Russia's largest media group, the state-controlled Gazprom Media, and has thrived commercially under that ownership. This week, it unveiled a new logo that will launch in June. Continuing its emulation of succesful American social websites, Rutube hired Cuban Council, the agency that came up with the logo for Facebook. And the result is arguably very similar, a simple wordmark set in humanist/geometric typeface. Except Rutube uses a red background colour where Facebook is using blue. The typeface is custom-made and is called RuNew. Repsol is a major Spanish oil and gas company with activities around the world, although it has most of its operations in Spain and Argentina. In the latter country it recently suffered a major setback when the state decided to nationalise its subsidiary, YPF. Yesterday, May 29, Repsol unveiled a strategic plan for 2012-2016, and took the opportunity to also unveil a new corporate identity. The new logo is a further rejuvination of a corporate identity originally conceived by Wolff Olins in the late 80s. Before that, the name was used for a lubricant brand. It featured a sun, as a symbol for energy, and some lines that added "strength and movement". It was updated and simplified in 1997. Now, the logo has been given a 3D treatment, and the colour white has permanently replaced the blue part of the symbol. The company has also adopted a custom-made typeface. The stated aim of the refresh is to gain visibility and reflect a new vision. No specific agency has been credited, but a press release states that the rebrand project "was carried out by Repsol employees as well as external public, providers, image experts, investors, journalists and opinion leaders and is the result of a rigorous process which began in 2011". The new identity was launched yesterday, and will be implemented across the company, including its service stations, over the coming months. Australia's national news agency, the Australian Associated Press (AAP), announced a new corporate identity last week, on May 24. The new symbol is "a stylised ribbon that represents the 24/7 flow of breaking news for which AAP is renowned". Melbourne agency Charles Elena Design designed the new branding, while Tempo Partners get a consultant credit. The rebranding is part of streamlining of AAP's many product brands, and involved giving many of them new names. The different divisions now all use the symbol, but with colour coding that allows them to be easily identified. AAP says rebranding is the "largest overhaul of the existing corporate image in nearly 25 years". It should be fully implemented in June. Last year, the Qatari media group Al-Jazeera put in a somewhat surprising bid for Ligue 1, the top division in French football, and ended up winning several matches. To have a place to screen these matches, the company is setting up two new premium sports channels. In February it was reported that they were going to be named beIN Sport. The logo was unveiled shortly after that. BeIN Sport 1 launches on Friday, June 1. NOS, which stands for Nederlandse Omroep Stichting, is a public broadcaster in the Netherlands. Created in 1969, it is responsible for news and sports on Dutch public radio och TV. 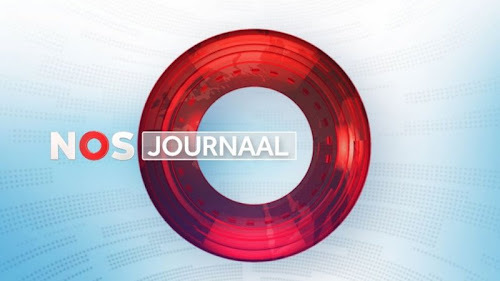 Yesterday, May 27, it introduced a new design for its flagship news programme, NOS Journaal. NOS' previous look was launched in December 2005 and created by the British agency Lambie-Nairn. Based on a concept called "the hub of news", Lambie-Nairn built the new look around a red ring, also taking the place of the O in the logo. The new look reaffirms the confidence in the red ring, making it the focal point in the intro. NOS are also getting a new studio set design. The music is a re-arranged version of the music used before 2005. Polycom is an American company that describes itself as "the global leader in open standards-based unified communications" and manufactures different solutions in telepresence, such as video conferencing. Last week, on May 24, it launched a new corporate identity. The company says its previous identity was introduced in 1992. The interlocking triangles were perhaps inspired by the company's triangluar speaker phone. The company says it was replaced because it had "come to symbolize the voice-driven, hardware-oriented solutions that only represent a small part of our total offering". The new logo features "three fluid, transparent, elliptcial arcs, symbolizing connection, mobility, information sharing and collaboration". Exelon is major American energy utility headquartered in Chicago. Yesterday, May 24, it unveiled a new corporate identity to mark a recently completed merger with Constellation Energy. It is described as a "modern, dynamic and progressive emblem that better represents the new company". "The new logo depicts the company name beside a symbol inspired by a flag to represent that Exelon is leading the charge. The flag has three colors inspired by Exelon’s commitment to progress, customers and sustainability. It features parallel lines to reflect the many businesses, stakeholders and perspectives working toward a common goal: driving progress for the customers and communities that the Exelon family of companies serves." Cyprus takes over Presidency of the Council of the EU from Denmark in July. Earlier this month, the presidency unveiled its official logo. The blue shape should be interpreted as a ship or a dove, and three other shapes that are its sails or wings. There was some ridicule and revulsion back in March when Kraft Foods announced that its snacks division would be named "Mondelez International" when spun off into a separate company. But yesterday, May 23, shareholders overwhelmingly approved the new name. The company took the opportunity to unveil a new corporate identity. The logo is a lively purple wordmark, with two red accents and a macron over the second E to aid pronunciation. While there doesn't seem to be any official explanation of the color choice available yet, two of the company's most valuable chocolate brands - Cadbury and Milka - use purple as a signature color. Mondelez International will include Kraft's snacks and confectionery division, with international brands such as Cadbury, LU, Milka and Nabisco, while the North American grocery divison become Kraft Foods Group, Inc. The name is a combination of the word for 'world' in Latin and 'delicious' in various languages and should "evoke the idea of a delicious world". OUTtv is a Canadian specialty TV channel for the LGBT community. Yesterday, May 23, it unveiled a new visual identity, created by the Vancouver marketing agency B'stro. The new logo is an odd blob with the channel name, where the letter T has an unexplained quirk. The new signature color purple is used in all applications. Promotions for the new look start in June, and it will be "fully integrated" across platform on July 2. OUTtv launches in HD on the same day. TV 2, Denmark's largest broadcaster, operates a video on demand service on the web that offers movies and programmes from the company's channels for a monthly fee. Since its launch in 2004, it has been marketed as TV 2 Sputnik until last Monday, May 21, when it was relaunched as TV 2 Play. The new name conforms with similar services in the Scandinavian countries, particularly Sweden, where the word "Play" is being adopted as a universal term for video on demand. The more mainstream name is also reflected in the logo, a friendly light blue container with the word "play" in a typeface that is quite popular at the moment. A play icon is created by tilting and duplicating the shape. The Yell Group is a UK directory company, originally formed out of the telephone directory division of British Telecom (including the Yellow Pages). Today its has expanded to the U.S., Spain and some Latin American markets and is transitioning to survive in a digital environment. Yesterday, May 22, it announced that it would change its name to hibu Plc. The new corporate identity was developed by Landor Associates. The preferred pronounciation differs between languages; in English it is pronounced "High-Boo". Hibu will reportedly also be used as a name for new products, but the legacy print products will retain the local names. The new name will launch on July 26, pending shareholder approval. Radio Rock is a Finnish radio network, that was launched in January 2007 and plays, well, rock music. Yesterday, May 21, the network launched a new visual identity intended to reflect the changing attitudes of the rock music audience. In addition to the logo pictured above, Radio Rock has also adopted an icon where the two Rs are standing shoulder-to-shoulder, which looks a bit like a skull. The Finnish agency 358 are responsible for the new look. They previously helped rebrand Radio Rock's sister network Radio Aalto. The Qatar Chamber of Commerce & Industry announced last week, on May 16, that it would adopt a new visual identity and also shorten its name to "Qatar Chamber". A Bahraini agency called Vahid Associates is behind the new look. Since 2006, Cartoon Network operates a second channel in the United Kingdom called Cartoon Network Too. When Cartoon Network launched a new global logo in 2010, that didn't apply to Cartoon Network Too, which continued using the previous logo, that had a extra blue box with the word "Too" added. Apparently, it was hard to figure out how to attach "Too" to the new logo, as the inconsistency wasn't fixed until last week, when Cartoon Network Too finally updated its visual identity to match its sister channels. The channel now uses a series of logos where "Too" is seen in a container shape attached to the Cartoon Network logo. The blue version above seems to be the main version, but there are also variations with different shapes and colours, as seen below. TV 2 Film is the dedicated movie channel from Denmark's largest commercial broadcaster, TV 2. A couple of months ago, it debuted a new look, featuring a new logo. The new logo features several dots to make up the word "Film", placed besides the TV 2 logo that links it to the parent company. In idents, the dots appear as shiny pearls. The channel has used the same logo since its launch in 2005, although the size relationship between the TV 2 logo and the channel logo was altered a few years ago. Sour Patch Kids is an American sour sugar candy, manufactured by Cadbury Adams, which is a part of Kraft Foods nowadays. Recently, the brand got a new packaging design and logo, created by Landor Associates in Cincinnati. This project was mentioned on BP&O about a month ago, but I thought I'd quickly mention it anyway as I wanted share and contrast the new and the out-going logo artwork. There's more information and images available on BP&O and creative director Dale Doyle's Behance page. The new look launched around late March or early April this year. The Australian Youth Orchestra is an Australian organisation for young classical musicians, operating several orchestras and training programmes. This month, it has adopted a new visual identity, created by Landor in Sydney. There are a few more visuals available on Desktop. The German business bank WestLB was one of many banks heavily affected by the 2008 financial crisis, and is about to become yet another bank to rebrand in order to move on from its disgraced name. The new name was developed by Endmark in Cologne, and the visual identity was created by KW43. The symbol should symbolise the bank's stable-yet-dynamic support of its costumers. The new corporate identity was unveiled on WestLB's annual press conference in March. NYSE Euronext, one of the leading operators of financial markets, launched a new corporate identity yesterday, May 14, that was created by Interbrand. The company was created from the 2007 merger of the owners of the New York Stock Exchange and Amsterdam's Euronext. According to a press release, the new symbol with its green and blue hues is an abstraction of the globe. The wordmark uses Akko, with DIN and Calibri used for other purposes. The typefaces where apparently selected for their environmental friendlyness, as they use less ink that other typefaces. The green colors in the logo enforce the ecological theme, while differentiating it from other stock exchange logos. Bravo is a Canadian cable network dedicated to films, drama and the arts. The name is licensed from the American network with the same name, although the two don't share many similarities anymore, as the American Bravo has devolved into a reality TV network, while Bravo Canada has had to keep some of its original format. Bravo Canada never adopted the speech balloon logo of its American counterpart, preferring to hold on to a wordmark similar to the one used by Bravo U.S. in the 90s, with an added exclamation mark. That ended this weekend when Bravo dropped the exclamation mark and introduced a solid tighlty letter-spaced lowercase wordmark. Penny Markt is a German discount supermarket chain with about 2,400 stores in Germany alone, and several hundred more in other countries such as Austria, Italy, the Czech Republic, Bulgaria, Hungary and Romania. In the last couple of months it has started introducing a more modern logo as part of effort to make the stores more welcoming. The new corporate identity was developed by the Peter Schmidt Group in Hamburg. The new logo consists of a strong white wordmark on a red background, with a yellow period, that should reportedly remind us of a coin. The unnecessary clarifyer Markt (German for "market") has been removed. New signage has been spotted and reported around Germany since January. More recently, Penny has updated its website with the new logo and has launched a national ad campaign for its private label range, that also features the new logo. Nelco is an Indian company that manufactures different sorts of technology solutions for businesses and governments. It is part of the major Indian conglomerate Tata. At the beginning of this month it announced a new corporate identity. April was a somewhat slow month for new logos, and most rebrand blogs seemed to play catchup with the much more active month of March. Still, there were about two dozen rebrands in April that qualified for this roundup. PZU, or Powszechny Zakład Ubezpieczeń, is a major Polish insurance group with a long history, claiming 1803 as its foundation year. Yesterday, May 10, it unveiled a new corporate identity that is said to reflect modernisation within the company. The new logo launches tomorrow, May 12, and will then be gradually introduced in corporate communication and PZU's many branch offices. The new logo is said to be a return to the historical circular mark, which the company says was introduced in 1952 and used until the 1990s, but it also symbolises "the simplification of procedures, care for the costumer and a modern approach". A framing device to be used in advertising has been created by cutting two brackets from the blue ring. The American cable network TV Land was launched in 1996 as a network for classic TV shows, but has gradually shifted into a more viable sitcom network for a slightly older audience. Yesterday, May 9, TV Land unveiled a new logo, which marks a break with the retro logos it has used since its launch. The logo has been designed to better reflect the network's 25-54 year-old target audience, but still has some hints of the old shape. TV Land last changed its logo in 2009. The new look was a collaboration between an in-house team, lead by creative VP Kim Rosenblum, and Trollbäck + Company. CORD Worldwide created a musical mnemonic and theme. Trollbäck has worked with TV Land several times before, and were behind a new graphics package introduced as late as last autumn (and covered here). Although that package now gets discontinued, the colour scheme devised for it lives on in the new look. The "Laugh More" tagline adopted around this time is also kept. Munin Sports is a Danish developer of sports training equipment, primarily for soccer practise. Its primary product is the M-station, a rebounder that allows players to perfect their technique. Recently, the Danish design agency Mega Design created a new corporate identity for Munin. The Konzerthaus Berlin is a concert hall in Berlin. Originally opened in 1821 as a theatre, it was rebuilt for its current purposes in the 1980s. On Monday, May 7, the concert hall unveiled its programme for 2012/13 season, and also took the opportunity to introduce a new visual identity, created by MetaDesign. Billboards sporting the new look can be seen around Berlin. The new logo is an evolution of the concert hall's previous logo, which featured a blurry spot, taken from a musical note. With the new look, the spot has been sharpened and includes the name of the hall written with two contrasting typefaces, one roman and one sans serif. The rest of the identity is described as "lively, approachable and surprising", employing a bright colour range. TNS, one of the world leaders in market research, introduced a new corporate identity a couple of months ago. The odd shape it has used until now has been straightened out to a square, and the lowercase letters have been exchanged for uppercase ones with more authority. The signature deep pink colour remains. The previous identity was launched in 2003, when company went from being Taylor Nelson Sofres with several local names, to one unified TNS. Wolff Olins was the agency behind that rebrand. Back in March, the Ministry of Tourism in Haiti held an open contest to attract suggestions for a new tourism logo. The almost 400 submissions were put up to a public online vote, and the ministry selected a winner from the top 50 submissions. The winning submission was created by one Xavier Delatour and announced last week. It is called the "Choublak" (translations are welcomed) and shows the word Haiti sprouting out of a hibiscus flower - the unofficial national flower - with a rising sun behind it. It is coupled with the slogan "Experience It! ", selected through a similar contest. All submissions can still be found on the contest page. Some top contenders were also posted on Logo Design Love a month ago. The Qatar National Hotels Company is a Qatari company that owns hotels and resorts in Asia, Africa and Europe. At the end of April, it changed its name to Katara Hospitality and introduced a new corporate identity. Both the new name and the visual identity were developed by Lambie-Nairn. The name "Katara" was used in ancient maps to describe the Qatar region, and should reflect the heritage from the company's home country. MoneyGram, an international money transfering service, has adopted a new corporate identity. Although released over a month ago, details weren't unveiled until this week. The symbol with arrows spinning around an imaginary globe has been simplified. Now there's only one arrow, and the circle has become a sphere. MoneyGram also has a new tagline, "bringing you closer", communicating the convenience of its money transfers. The new visual identity was developed by Landor Associates in London. 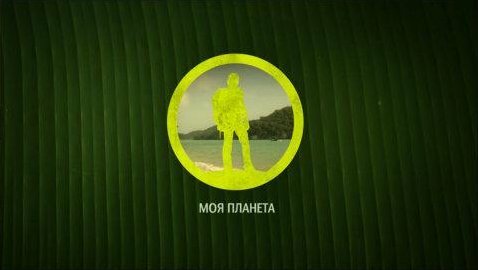 Moya Planeta (Моя планета, meaning "My Planet") is a Russian documentary channel owned the state TV company VGTRK, launched in 2009. Last week, on April 28, it launched a new on-air look, which is less artificial, employing different textures, such as a palm leaf, elephant skin and sand. The logo hasn't changed, but has a new treatment to fit the overalll design. Two days after the E! 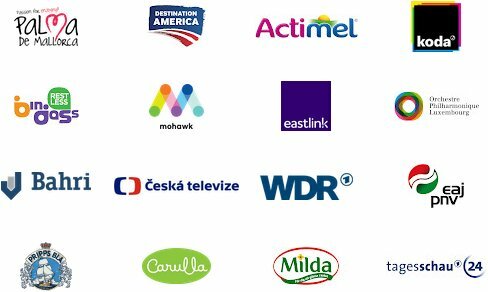 network unveiled its altered logo, another big American cable network has launched an overhauled visual identity. This time, it is Lifetime, the network that once billed itself as "Television for Women", that unveiled a new red logo yesterday, May 2. It comes with the tagline "Your Time, Your Life", and Lifetime describes the new look as more aspirational and bolder than its predecessor. A press release issued by Lifetime credits their marketing VP Tim Nolan and the creative agency Leroy + Clarkson for the design work. Shutterstock is one of the large Internet-based agencies for stock photography and other images. Yesterday, May 2, it launched a new corporate identity, developed with Lippincott, aimed at differenting Shutterstock from its competitors and signaling a new brand positioning. At the center of the new identity is a graphic device called the "Viewfinder", which replaces the letter O in the wordmark. Shutterstock says the Viewfinder "symbolizes the artistic empowerment of Shutterstock customers and contributors to express their unique perspective – whether they’re behind the lens or in front of the screen". The Viewfinder can also be used to frame interesting aspects on images. Laima is the largest manufacturer of chocolate and other confectioneries in the Baltic countries, originally a Latvian chocolate factory founded in 1921. Recently, it has started introducing a new package design featuring an updated logo. E!, the cable network dedicated to entertainment, celebrities and reality TV, unveiled an overhaul of its iconic logo at its upfront in New York yesterday, April 30. The E breaks out from it exclamation mark frame, allowing the letter to form the line in the exclamation mark itself. The example released by NBCUniversal carries the new tagline "Pop of Culture". The new logo launches in the United States and Canada on July 9, expanding to E! 's international outlets in September. E! has used its current logo since its launch back in 1990. Early iterations could take on several different neon colors, but since the late 90s the logo has typically been red and white.